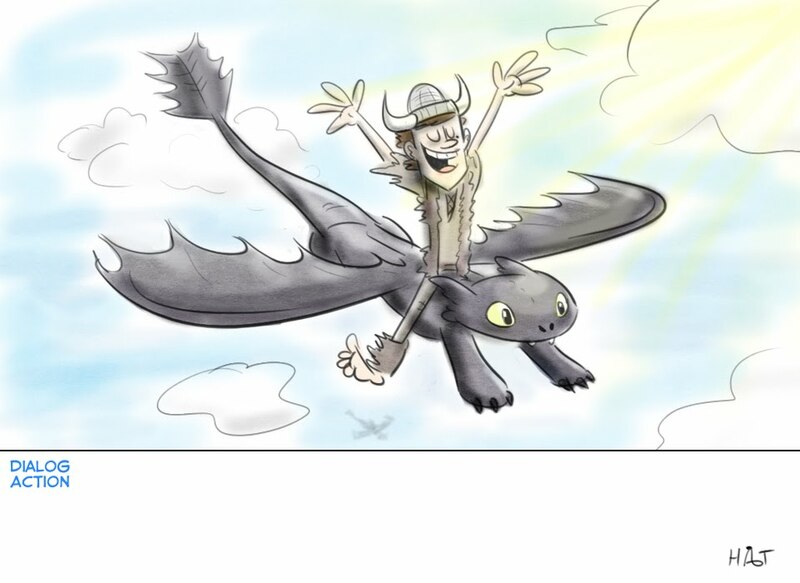 I am very fortunate to have had an opportunity to work on 'How to Train Your Dragon'. Dreamworks was kind enough to grant me an internship with the Dragon story team, and it was an incredible experience. I learned a lot during the internship, about story/boarding and production. It was the first feature I had worked on, and am so thankful it was on a killer movie with an awesome AWESOME crew. I owe much of my success to the guys I worked with on Dragons. If you havn't seen it, you should check it out. It's pretty darn cool. Ha, I love the very trailers of the movie itself. How ironic: every once in a while I come by your blog and look at it. I never knew you worked with the staff of How to Train Your Dragon! By the way, I too am an artist looking for my spot in fame. If you like, come by my blog at www.inkladendiary.blogspot.com. I started adding in sketches. You can come, comment, and follow if you want! Oh, hello again. I have edited the picture from the post two days ago. It's much better looking, and I used picnik.com. Come and see and tell me what you think! I saw the movie with a group of people and we all loved it! Really liked the designs and it was a lot of fun to watch. I bet it was great to work on! Wow, you interned at both Dreamworks and cartoon network, thats pretty sweet! Whats your full time job. Congrats to you and Joey for M&K. Funniest cartoon i ve seen in a long time! Thanks for the comment and the kind words. Always cool to hear from other artists. Currently I'm a board artist at DW, working on Madagascar 3.